Please do not apply if you have young children or large dogs. 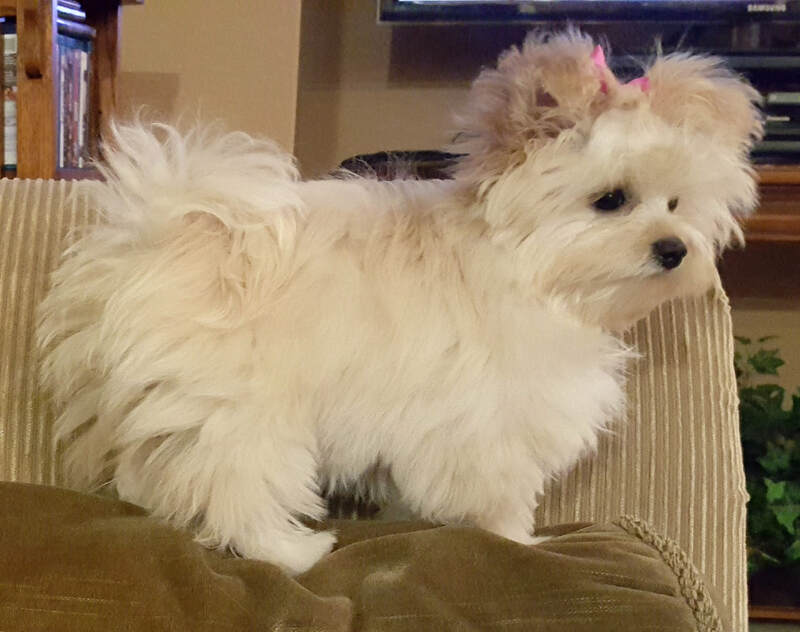 Only families who are in/within a short driving distance of Frisco, TX, home most of the day and who have yorkie/small breed experience will be considered. Bailey was surrendered just before Christmas along with another puppy (who has been placed). They were both underweight and had fleas and giardia when we got them. 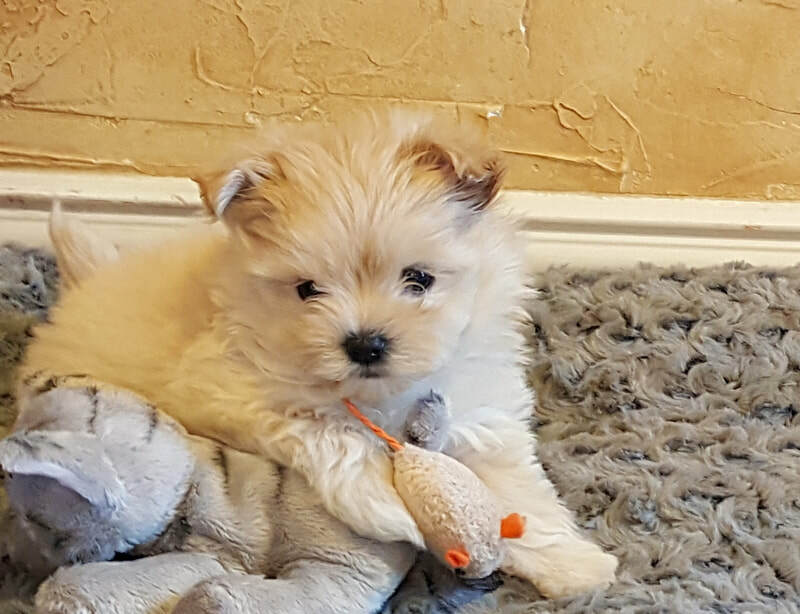 Bailey is now approximately 4.5 months old and weighs just over 4 pounds. She is up to date on all her puppy vaccinations. 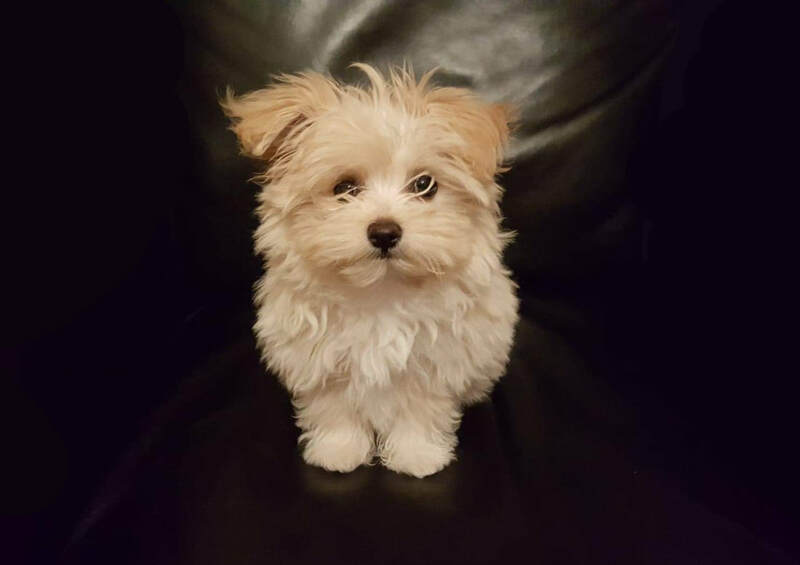 We think she is likely a mix of yorkie and maltese. Our vet agrees. Bailey is smart, affectionate and very playful! She likes our cat and has been to puppy socialization but loves her people most of all. She likes cheese treats and knows sit, down and heel. She is pad trained but needs to be outdoor trained once it gets warm enough. She is a special girl and we will be very particular as to the family that adopts her. We want to insure she will be going to a family who has the love, time commitment and the means to take care of her. Adoption fees apply.